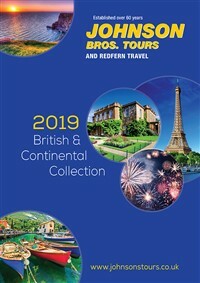 New for 2019, this fantastic tour takes in the rugged Aran Islands, Connemara National Park, Galway and tranquil Kylemore Abbey. Full of character and charm, the family run Oranmore Lodge Hotel is a traditional, country-style hotel. Depart the local area and travel to Holyhead for our afternoon ferry crossing to Dublin. We continue our journey to the Aspect Hotel Park West, Dublin for our evening meal and overnight stay. After breakfast at the hotel we continue our journey to Oranmore, County Galway, your base for the next 4 nights. This morning we visit the magnificent Aran Islands. We take a 40 minute crossing on the ferry from the village of Ros a’ Mhil, arriving into the harbour of Kilronan from where we embark on a minibus tour with a local guide. This morning, we drive to the centre of the small, colourful city of Galway to board the Corrib Princess at Woodquay for a 90 minute cruise along the River Corrib to Lough Corrib, enjoying commentary from our ship’s Galway skipper along the way. After our cruise, we spend the rest of the afternoon in Galway at leisure. 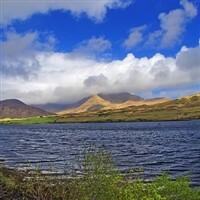 Today, we enjoy a tour of Connemara National Park. We make a lunch stop at the Victorian town of Clifden before travelling on to Kylemore Abbey. After breakfast at the hotel we begin our journey home and travel to the Camden Court Hotel, Dublin for our evening meal and an overnight stay. Return journey home with breakfast on the ferry.